Recently it’s become trendy for many rescue groups and individuals to rescue dogs from the South Korean meat market trade and adopt them to families in the United States. Many of these dogs have suffered unimaginable abuse and it is impossible to know how they will adjust to a home. While there have been great success stories with some of the adoptions, there have been many that did not work out. Because most owners do not understand the breed, many of the dogs are surrendered to shelters where they are almost always euthanized. The lucky few, like Alex, end up in rescues that have the ability to rehabilitate them. Alex’s story begins when he was separated from his mom and pack at a few weeks old. Alex spent the first weeks of life in a dirty crate; scared, filthy, sick and only skin and bones. Craig Petronella, a U.S. Service member stationed in South Korea, discovered Alex and soon learned the puppy was living with his second abusive owner who no longer wanted him and was about to abandon him in the streets. Dog meat traders routinely pick the easy target strays and Alex was nearly doomed for someone’s dinner plate. Mr. Petronella adopted Alex and brought him home to live with his wife, son and dogs in Virginia. Craig’s wife Ines recounts: “When Alex came into our family he was very scared, always trying to get away from us or hide. Fast movements, noise, cars, trucks, people – pretty much everything scared him. If he couldn't hide, he tried to attack.” Ines witnessed Alex fearfully shutting down countless times. Out of the blue, he would start to shiver, press his eyes tightly shut, push his trembling body against the ground and sit paralyzed in fear. As Alex grew, he began to protect himself by becoming fearfully aggressive. The Petronellas consulted an animal behavior consultant who explained that Alex had suffered such severe psychological trauma that he required a more experienced home to recover. Ines contracted Treasured k9s, the only non-profit rescue dedicated to Jindos on the East Coast and was relieved to find a group that was experienced in rehabilitating the breed. “When I received Ines’s email, I knew exactly what Alex needed and that Treasured k9s was his only hope”, says Kristen Edmonds, founder of Treasured k9s. Alex was only eight-months-old and was at a prime age to learn to overcome his fear issues, build his confidence and learn to trust people. Treasured k9s has built a reputation on taking in, rehabilitating and successfully adopting dogs with behavioral challenges other rescues would simply give up on. “We do not seek out these cases but they seem to find their way to us”, says Ms. Edmonds. Treasured k9s is fortunate to have a long standing relationship with Jeff Kolbjornsen, a New York-based dog behaviorist. Initially, Treasured k9s estimated Alex would need 2 months of rehabilitation with Mr. Kolbjornsen. After his evaluation, they realized the process would take much longer. “When Alex first arrived at our center he was extremely fearful of me, had no training skills at all, and had a huge fear of the leash and collar that he was required to wear for training. The degree to which Alex bucked, screamed, and tried to get away by trying to bite was one of the more severe fear-induced demonstrations that I have seen,” says Mr. Kolbjornsen. Clearly, rehabilitating Alex was going to be a challenge. Building trust with a dog who has such innate fearful behaviors requires a lengthy socialization period with the training handler as well as a long term, methodical desensitization process. The rehabilitation process stretched over a 6-month period of daily socialization and rehabilitation which cost Treasured k9s over $20,000. Alex has progressed and plays very well with other dogs, is much more at ease with meeting new people, obeys commands, and understands his role and hierarchy in human relationships. Currently in a foster home, Alex is ready for adoption into a household willing and capable of providing him routine, structure and rules. 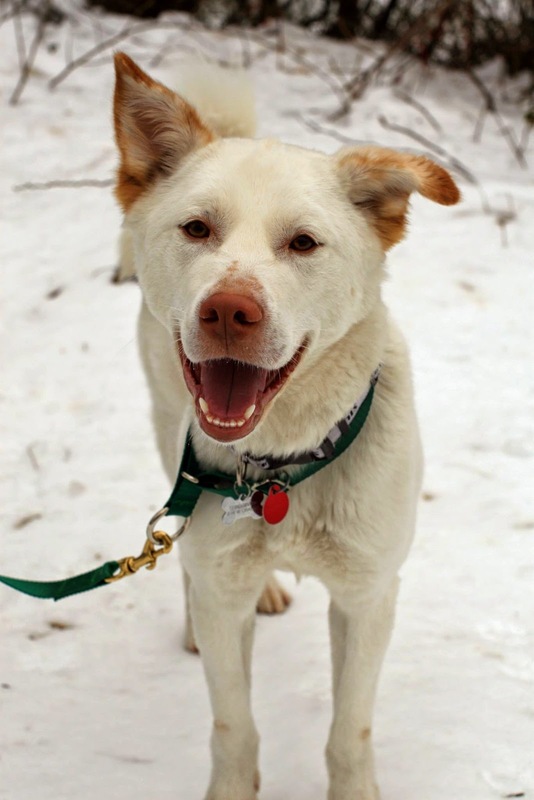 Treasured k9s is a 501(c)(3) dog rescue organization specializing in rescuing and rehabilitating Korean Jindo dogs. For more information on our Jindos awaiting forever homes and how you can help, please visit www.treasuredk9s.org.